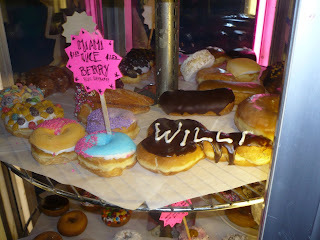 We headed to Portland this weekend thanks to Nicco. Thanks Tweezie! We had a great time hanging out with Courtney. She was an amazing tour guide! 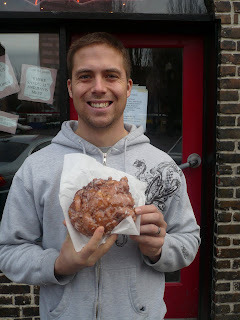 We saw all of downtown Portland, the waterfront, Purl district and more. We checked out Kennedy School, which I'm sure Adam was thinking he would rather have gotten married there, it was the coolest thing we'd ever seen. 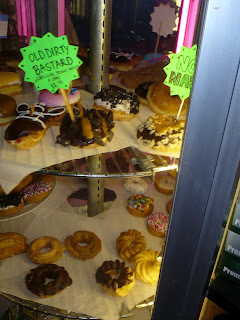 No trip is complete without checking out Voodoo doughnuts. 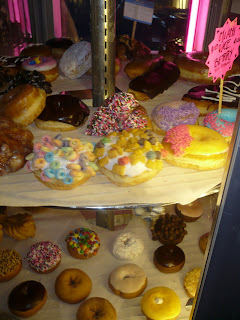 They have everything from normal doughnuts, ones filled with pixi dust, regular doughnuts covered with oreos, peanut butter, or fruitloop, or coco puffs, or fruity pebbles. 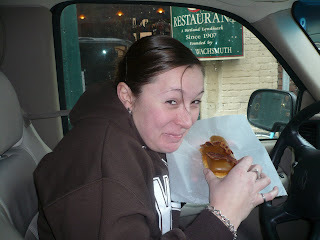 I had to get the maple bar bacon doughnut. 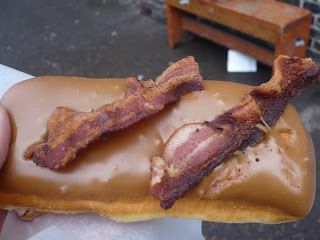 Yes, I said bacon doughnut! It was fantastic!